Fit, firing, future sorted; Seán O'Brien is in a good place. His mind is in the present and focused on Italy this weekend, but for a half an hour yesterday he allowed himself to be brought into a discussion about what life might look like once he makes his big-money move to London Irish after the World Cup. 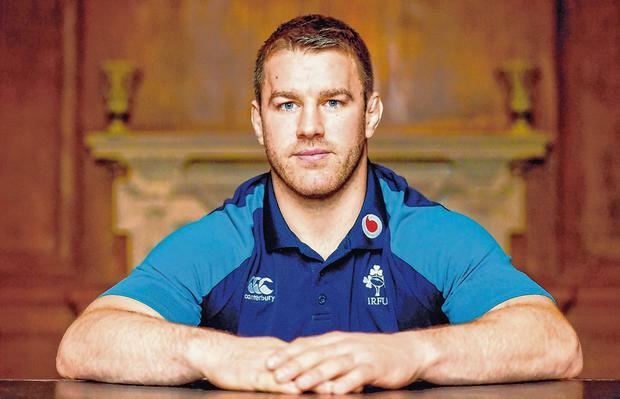 What was clear was how the Tullow Tank is at peace with his decision. Once it became clear that another national contract would not be on the table from the IRFU, he made his mind up to move elsewhere. Injury might have blighted his last couple of seasons, but he believes he can still produce the goods. Indeed, his take on a long run of bad breaks is that it has left him lightly raced. He knows the situation regarding overseas-based players but is backing himself to come into the Johnny Sexton bracket and believes that if he shoots the lights out for the Exiles then Andy Farrell will have to come calling. It might be wishful thinking, but professional players are nothing without their self-belief. He'll turn 33 during the next Six Nations and will be 36 when the 2023 World Cup rolls around; hardly the profile of a player the IRFU will break the unwritten rules for. Then again, O'Brien battled his way back from injury to become a leading light on the last Lions tour. At his best, he has few rivals. He had no doubts about extending his career for the next three seasons. "When I get back fit I feel great and in good shape," he said. "I've always said this as well it's always big things that break with me. If I break enough of them they can't break again hopefully! I don't have mileage on the clock these past two years, that was a big part of it too. "So, if I can get myself back battled-hardened again and match-fit, I think my body's in great shape otherwise. It's about getting a run of games. "Getting back at this level, even playing 65 (minutes) the last day (against Scotland), I felt pretty good after it. So, there was no doubt in my mind - if I'm fit I can stay at that level to compete and do well. "I'll play every game if I can if I'm fit. (Declan Kidney) does know me well but that's one think I did say to him, that I wanted to play every game I don't want to be managed. "I think the more games play the better I get. That's always been the case... but we will see where we are at. "Small little bits of conversation have happened like that but there has not been much detail. My short-term goals are more important." He hasn't spoken to Farrell about future selection in a post-World Cup world, but he's confident of remaining in the picture. "There's have been no conversations like that had. It's purely based on what I think. So that's the current situation now, if you're out of the country at the minute obviously it's a bit different, or if you're not contracted to the World Cup, but thankfully I am," he said. "After that, when new management takes over, we'll see where we are at. But hopefully in an environment where I'm playing well and I'm fit and healthy, hopefully you are always in with a shout." He had options, but the connection with the coaches won him over. "The big thing was Deccie and Les Kiss, the lads know me and know what I am about. I had a great relationship with them," he said. "What they wanted to achieve over there fitted with what I wanted to achieve as well." For now, the focus is on staying fit and finishing the Six Nations on a high. If this is to be the last year of a storied career in green, O'Brien wants to make the most of it. "There's loads to play for, there's lots to be won. There's loads of big games coming up," he said. "There's a massive tournament at the end of it all. "I'll be trying to do everything in my power to be in the best place possible to add to that. And I'm pretty ruthless on what I want to achieve this year."